The new InterContinental Hanoi, renovated in late 2007, adds a fresh style to the luxurious property chain on West Lake’s banks. 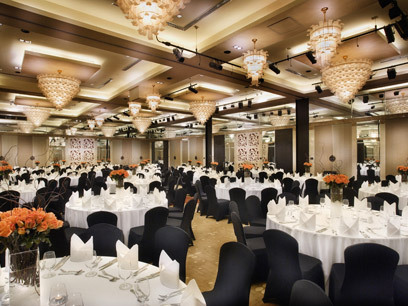 The impressive hotel features 359 rooms, purposefully designed with Vietnamese inspirations. They also boast private spacious balconies, insuring the best views of surrounding landscape. 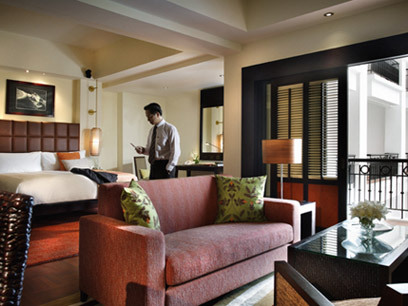 With 359 meticulously designed guestrooms, the Hotel Intercontinental Hanoi Westlake has arranged exclusive lodging facility for its guests. An exquisite blend of contemporary Vietnamese decoration, impressive interiors and vivacious color brings a mesmerizing effect in each room. 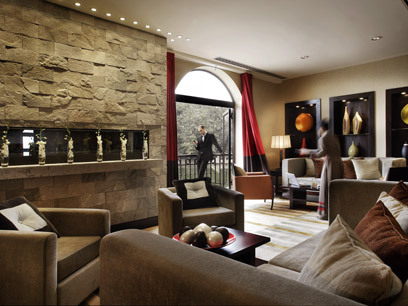 The rooms in the hotel are classified as Deluxe Room, Atelier Room, Club InterContinental, Lotus Suite, Westlake Suite and The Presidential Suite. 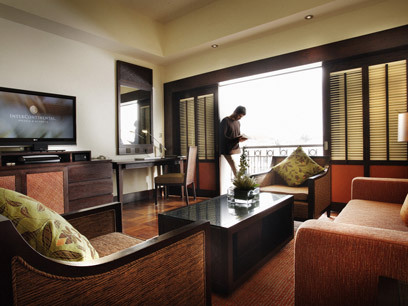 A large private balcony is attached to every room from where travelers can explore the scintillating view of Hanoi City, pool or the lake. 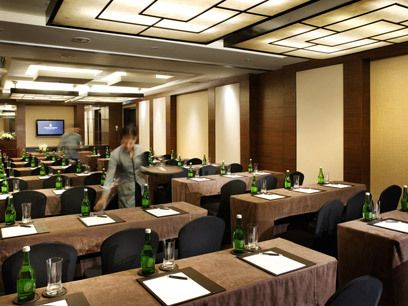 Grand Ballroom, Barbeque Grills, Outdoor Pool, Private Limousine, 24-hour Room Service, Tourist Information Desk, Business services, Children"s activities, and more are typical international standard facilities of the hotel. Our guestrooms showcase contemporary Vietnamese design at its best. The spacious interiors feature cream walls and dark timber, complemented by rich textures and vibrant colors. 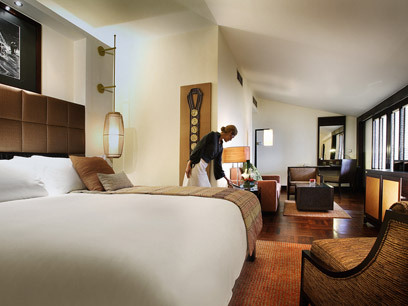 All rooms are equipped with LCD televisions, Bose system and large private balconies and beautiful views over Westlake. Suites: Our stylish Junior Suites blend contemporary Vietnamese design with generous spaces for relaxing and entertaining, including a comfortable lounge area and over-sized balcony, luxurious amenities and all the in-room features you would expect. Executive Rooms: Guest indulgence revolves around an elegantly appointed Club Lounge which offers complimentary breakfast and evening cocktails, as well as light refreshments at any time of the day, as well as business support, and a 24 hour butler service. Centrally located in Hanoi, the historic city centre is only ten minutes ride, as are a wide range of shopping and cultural outlets, while the Noi Bai International Airport is just 40 minutes away by taxi. Driving directions. Drive south on south Thang Long highway. Turn left into Nguyen Hoang Ton Road. At the end of Nguyen Hoang Ton Road, turn left into Lac Long Quan Street & then turns right into Au Co Street. Go along Au Co St then turn right into Nghi Tam Village Road & turn left to hotel entrance.